People that are licensed in finances can use Rolling Business and Budget Forecast templates created in Excel to capture definite results for important statements of financial position and profit and loss accounts to analyze current results from previous years and planned objectives. The Rolling Business and Budget Forecast templates contributes management with an active look of how specific results balance to impending objectives and how current ones are flourishing from period to period. To make your business easier and more organized is important that you download a template and you must use it to become more organized and update your information right away. The Rolling Business and Budget Forecast Template is available for free on this site. You can downloaded and start experiencing the benefits that this template offers you. The template is customizable and you can use the fields that you need depending on your business operation and your balance sheet. The great thing about this template is that you easily can adapt your information and make the changes you need without having to create it yourself. The template is very easy to use, you can download it right here for free and you must use it to update your balance sheet and having a better snapshot of your financial decisions for your business. It is important that you include your company information in the template and create a logo and slogan for your business if you still don’t have one to appear more professional. Customize the template according to your needs but remember that the goal of template is to save you time and effort. So don’t change it too much or modified because it is ready to use. You must use the template to really see the benefits and get familiar with it and you will find out is very user friendly and is a great tool for your financial planning and decision making. You don’t need to be an expert on Excel to use it. All companies have to financial information. 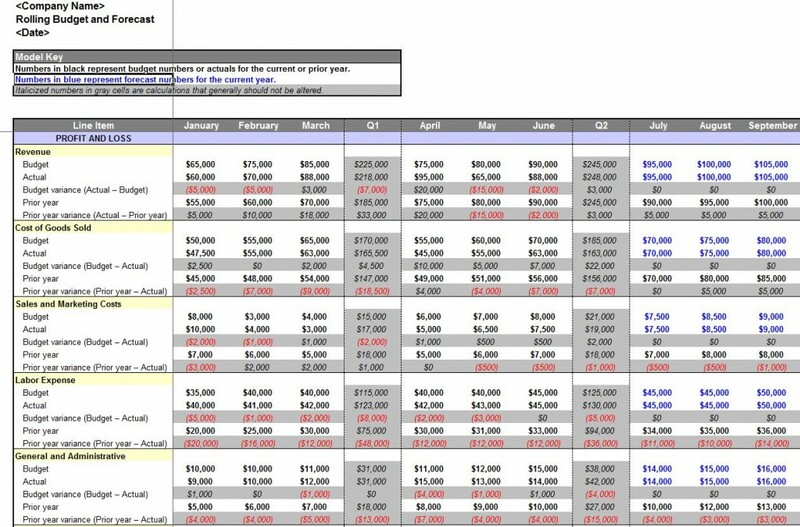 You can use the rolling business and budget forecast template Excel document and take advantage of the free download on our site to make your financial planning fast and easy.